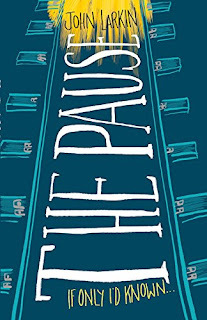 I'd like to welcome award winning author, John Larkin to my blog, promoting his new release The Pause. Take a look at what John has to say about his new book, being a writer and why he'd like to walk in women's shoes! I developed a love of writing at high school but then lost it in my late teens. When I was travelling and Europe in my early twenties I started again – just a journal and letters to friends and families. It was my sister who said that she used to read my letters out to friends and work and they used to have everyone in stitches. After my post-adolescent wanderings around Europe were done (in other words I ran out of money), I came home and decided that I wanted to go to uni. The practical thing to do was to do a computing science degree, as I was working as a computer programmer at the time, but I soon got bored out of my brain with this. Always in the back of my mind was the idea that I wanted to be a writer, so I switched degrees to English Literature and started writing my socks off. It all kind of fell into place from there. What’s the name of your latest release? 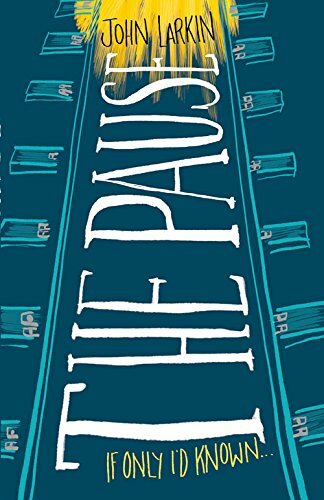 My new novel is called The Pause. It is an uplifting novel on teen suicide (and yes; it can be done). Not long after The Shadow Girl was published I had a complete mental breakdown. The two events are unrelated; although in many respects I believe writing The Shadow Girl simply postponed my breakdown. Things in my personal life were going to hell in a hand-basket and I think writing gave me a safe place to go. Once I had finished the novel I lost that safe place and my world fell apart. I spent several weeks in psychiatric hospitals and eventually with some amazing care I was able to slowly piece my life back together. The Pause was born from this awful period of my life. I try to live by the philosophy that if something bad happens to me I am going to do something positive in response. It’s a kind of yin-yang thing that I live by. The loss of the life that I loved (my touchstone, my safety net, my everything) and the subsequent mental breakdown was my yin; The Pause became my yang. Do you imagine a particular person you know or have seen who are in the public eye when creating your main characters? I’m more of a method writer. I create a character and then, as I’m writing him or her, I become that character. I don’t dress up like them or anything like that, it’s just that I truly believe (and see them as real people) as I’m writing them to the point that they are real. Of all the characters in your books which is your favourite and why? I loved Declan (The Pause) because he needed looking after. Things happened to him that he could not control and (like me) it almost destroyed him. But he needed help (lots of help), external help to piece his life back together, which was true of my own breakdown. I think my all-time favourite character is The Shadow Girl. Although some truly terrible things happen to her, she is never a victim. She has tremendous strength, a positive outlook, and a determination to make her life better. I modeled her partly on the real shadow girl whom I met during a school talk, but I added in the feistiness and zest for life and confidence of my eldest daughter, Chantelle. When writing, are you a planner or a panster? A bit of both. I like to plan to some degree but I also leave room for the characters, for creativity to take over and they do take over. When it’s going well the characters and the story takes on a life of its own and all I do is wander along behind sweeping up. I’ve just finished Malala Yousafzai’s memoir. Although I’m fairly well read and informed, it left me completely dumbfounded that such ignorance, such as that shown by the Taliban, still exists in these “enlightened” times. The strength and determination shown by Malala (and her wonderful father) left me awestruck. I would like to walk in a woman’s shoes for the day (not in a cross-dressing sense of course, though that might be interesting too). I would like to be a Muslim woman and wear the hijab and experience what it is like in Kabul and also in a western city. Complete this sentence; I’m indifferent to… home renovation, cooking and reality shows on TV. Yaaaaaaaaaaaaaaaaaaaaaaaaaaaaaaawn. I just want to add my two cents worth here and tell you all that I read The Pause in one day! I knew I had to wait for the school holidays to read John Larkin's, The Pause. I knew I wouldn't be able to put it down. I was right. A powerful, uplifting story about teen suicide, Declan, a seventeen year old pauses before he attempts to take his life and the narrative of his future life begins. 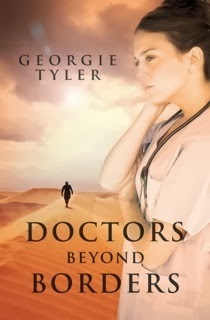 It is heartwarming and funny - yes funny - with many brilliant lines and ideas highlighting the genius of the premise of the story and the exceptional writing style of this skilled author. If I could give this book six stars I would because it is at a level above the rest. Well done, John Larkin.